Add warmth and tactility to your bedroom with the Cisare Duvet Set from Domani. 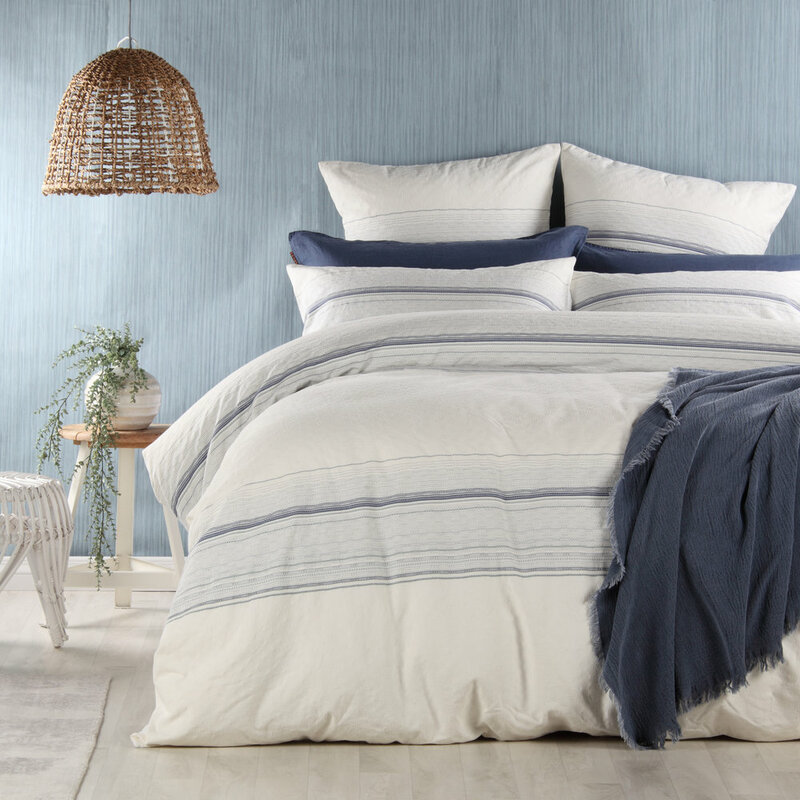 Constructed from 100% cotton jacquard for premium comfort, it features a pretty white and sea foam palette. This textured duvet will pair back nicely with similar tones, or be bold and pair with turmeric cushions to create a statement. Inspired by textures of the earth, soft, subtle tones, frosty mornings and delicate winter light. Colours are less vivid and textures become the focus. We see our own world through fresh eyes. Designed to co-ordinate and create a refreshing ambiance in your home. The set include one duvet cover, and two pillow-cases.